The Basic Pneumatics textbook begins with a chapter on the relationships among pressure, force, work, and energy, this course then goes on to describe the operation of both reciprocating and rotary compressors. Chapters on primary and secondary air treatment explain lubrication and the removal of water, oil, and contaminants from the compressed air. Following chapters deal with system components, including piping, valves, cylinders, and motors. 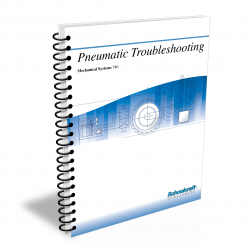 This textbook is a prerequisite for the 740 textbook on Pneumatic Troubleshooting. Does your curriculum require additional topics not included in this textbook? Build a customized version of the Basic Pneumatics textbook below. Explain how force is transmitted in a pneumatic system. List two factors that affect the results of pressure calculations. Briefly explain the physical laws affecting the behavior of a confined gas. Differentiate between a positive-displacement compressor and a dynamic compressor. Describe the operation of a reciprocating compressor. List one advantage of using a multistage compressor. Identify the cooling arrangements for reciprocating compressors. Compare the operation of compressor controls in large and small units. Compare the power output of a single-stage vs a two-stage vane compressor. Describe the main types of positive-displacement rotary air compressors. Explain the advantages and disadvantages of both types of dynamic compressors. Describe four methods of controlling centrifugal compressor output. Tell how to compensate for a low-speed drive in rotary screw compressors. Describe techniques for cleaning compressor filters. Define relative humidity and dew point. Explain the effects of temperature and pressure on the air's ability to hold moisture. Explain the functions of separators, oil scrubbers, and air dryers. Describe the two main methods of contaminant separation. Explain how filters are classified. List contaminant particle sizes and particle contamination categories as they occur in filters. List applications for the most common types of filter media. Identify system location for lubrication equipment installation. State the importance of laminar flow. List the factors that affect pressure loss in a pipe. State direction and amount of slope for compressor discharge pipes. 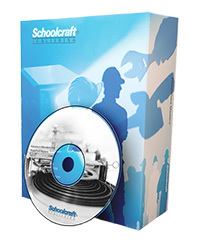 Discuss procedures for pipe, tube, and hose installation. Describe safe working procedures for disconnecting air hoses. Describe the four methods of identifying control valves. List four basic types of manually operated, two-way valves. Describe the operation of a two-position, direct acting, normally closed solenoid valve. Explain one major advantage of using a four-way valve. Describe the construction of a three-way valve. List two ways a valve can control compressor pressure output. Describe construction of two basic types of pressure-relief valves. Contrast a pressure regulator with a pressure-relief valve. State the limit imposed by Federal Law on the pressure allowed when an air hose is used to blow off chips. Tell the difference between pneumatic and hydraulic cylinders. Describe the construction and operation of a single-acting cylinder. State the purpose of an exhaust flow control metering valve. Describe the action of a pivoted cylinder. Explain the size relationship between a cylinder port and a valve port. Calculate a motor's horsepower, given its torque and speed. Differentiate between a pneumatic motor and a rotary actuator.